OpenSim — short for OpenSimulator — is free, open source software that allows anyone to create a virtual world and run in on their own computer. Here is the official OpenSim project website. It is fully decentralized, works in virtual reality mode with Oculus Rift, and allows avatars to teleport between worlds as easily as they follow links between websites. Welcome to OpenSim — or, more specifically, to the welcome region on FleepGrid. 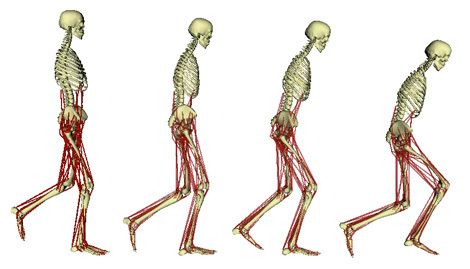 It is also a virtual human muscle and skeleton simulator, which is a very different thing. Which can be confusing. One of these projects should probably change their name. OpenSim — our OpenSim, the virtual world one — is built to be generally compatible with Second Life, so people familiar with the Second Life interface, building tools and scripting language will find little difference in OpenSim, because OpenSim actually uses the same viewers as Second Life. If you’re interested, read here for an in-depth comparison of Second Life and OpenSim. What’s so great about OpenSim? The busiest OpenSim world, the InWorldz grid, has fewer than 10,000 active users a month. By comparison, Second Life has around a million. So why would anyone bother with OpenSim? It’s your world, you can do what you want with it. This is particularly important for schools and businesses that don’t want to be on a world managed by someone else. When its your own world, you decide who gets to access it, you decide what content’s on it, you decide when to schedule the restarts. You can run it behind the firewall. And you don’t have to give up any rights to the content you create. It’s growing fast. While Second Life continues to shrink in both land area and active users, OpenSim is growing. Probably because of the next reason. It’s free. Or very low cost. You still have to pay for servers and technical assistance, but if you have a spare computer and some basic skillz, you can run a virtual world on your own, for free. Or you can rent land from any of several hosting companies or get land on an already-existing grid. On average, prices are a tenth of what they are in Second Life, and most providers don’t charge setup fees or upload fees. You can now get a full region, the equivalent of a $300 Second Life region in capacity, for just $3. That’s not a typo. You can put on an Oculus Rift headset, pull up the CtrlAltStudio viewer, and go visit any OpenSim world. You can even build stuff, while standing right inside the world. Collaboratively, with other people. It is very cool. You can make backups. This is really important to anyone who creates stuff. Unless you’re on a closed, commercial Second Life-style grid that specifically prohibits backups, you can save copies of entire regions or inventory folders. And if you have your own world, you can save a backup of the entire thing, land, assets, users and all. Handy! If you know Second Life, then you already know how to do everything in OpenSim. As I mentioned above, the viewers are the same. Other virtual world platforms require that you learn a whole new interface. And if you don’t know how to do something? Just check out the Second Life tutorials, how-to videos and in-world classes. Tons of material available — all directly applicable to OpenSim! You can teleport from one world to another. This is called the hypergrid, and the majority of public OpenSim grids are on it. That means that when you open up the Map dialog, instead of typing in a region name, you type in a grid address. That’s the only difference. A typical hypergrid address looks like this: hg.hyperica.com:8022. That address takes you to Hyperica, a hyperport with gates to many other grids. The associated website lists hundreds of individual destinations you can go to. And all the social functionality still works. You can make friends with people on other grids. Send them instant messages, no matter where you are, or where they are. You can join groups. Even go shopping. 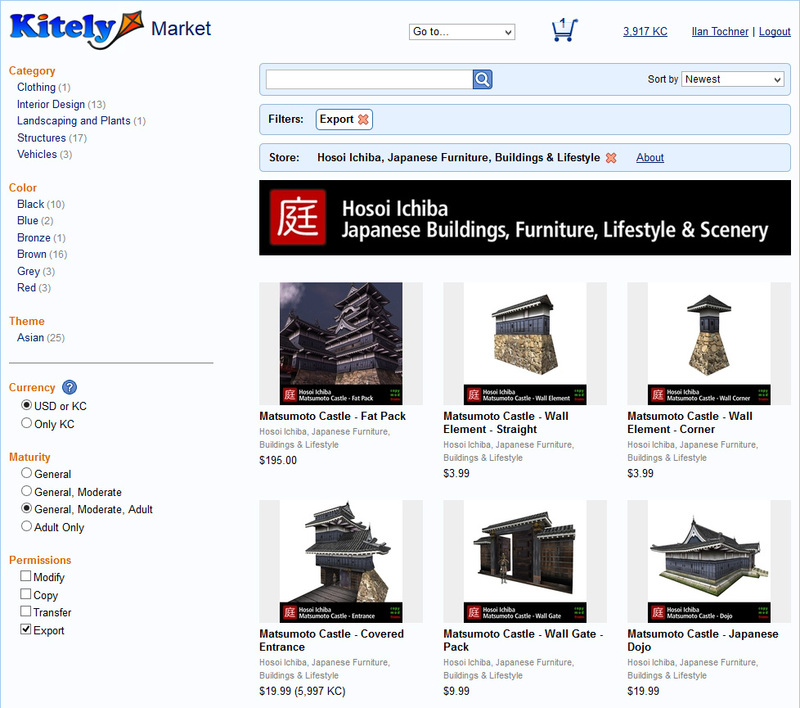 There’s even a hypergrid-enabled online marketplace — the Kitely Market. My first attempt at building a hypergate, back at 2009, to take me from one OpenSim world to another. OpenSim users are a varied bunch. The creatives: They come to OpenSim for the freedom to build. Artist Ruben Haan explores the creative potential of OpenSim on OSgrid. The socializers: They come to OpenSim because their friends are here, or to find a small, close-knit community. Or they’re here to be creative, and socializing with other creative types comes as a side benefit. The role players: If you are part of a roleplaying community, moving the whole group over to OpenSim means that you can get ten times the land for the same price. Or the same amount of land, for a tenth of the price. Or twice the land, for a fifth of the price. I could go on. The educators: OpenSim is a perfect fit for schools. Low cost, full control, maximum security — what else can a school ask for? Universal Campus by Oni Kenkon Creations. The companies: Like schools, private businesses need privacy and security for their builds. Whether they’re using OpenSim to prototype store layouts, build ship mockups, run disaster preparedness drills, or conduct virtual training programs, OpenSim offers full control and maximum flexibility. Plus, OpenSim’s modular design and open-source framework allows enterprises to build their own modules and connectors. This means that they can connect their internal databases or applications. The merchants: Because of the educators and companies using OpenSim, there’s a market for high-end content and building and consulting services. A mostly-untapped market, I should add. Plus, even creative types get tired of building every single thing from scratch. For more details about how people use OpenSim, check out a survey I ran about this last year. The two main open-source alternatives to OpenSim are OpenQwaq and OpenWonderland. These are very small projects by comparison to OpenSim, don’t have any public worlds running the software, don’t have an equivalent of the hypergrid, and have very few vendors supporting them. There are also some proprietary alternatives. See here for a list of the top ones. The proprietary ones are all single-vendor solutions. If you decide to move your world from one vendor to another, you’ll have to start over from scratch, though you might be able to repurpose some of the 3D content, if you created it outside their virtual platform. Download the Firestorm viewer, which is used by the majority of folks in OpenSim. 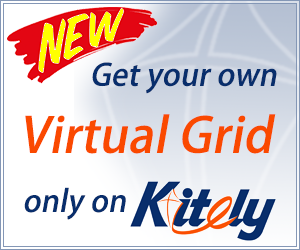 You’ll need an account on a grid — I recommend starting on OSgrid, the largest and busiest of the major grids. Or get a copy of my special report, Free Land in OpenSim. It lists all the latest free land offers on more than twenty grids. Everything from free houses to free residential plots even to entire free regions. I only picked the best offers — none of those “get the first month free and then pay up if you want to stay.” These are all unlimited duration offers, or ones with a simple renewal process. Or check out our list of bargain hosting providers. Once you’ve got your own bit of land, you’re probably want to know Where to get content for OpenSim. And, to find out what’s happening, check out all these Metaverse communities. Hint: OpenSim Virtual is the biggest one, so start there first.